This article first appeared October 25th on thirstymag. In the tippy top of New York State, bordering Lake Ontario, the 14 counties of the Finger Lakes region boast a rich tradition of apple farms, and a booming cider sector. Exactly three years ago, Governor Cuomo helped pass the Farm Cidery Bill, which made available a new license to farm cideries, (similar to farm wineries, breweries and distilleries) that stipulates the cider must be made exclusively from apples and other pome fruits grown in New York State. By allowing for more organic farming and fermentation processes, so increased the alcoholic content, bringing back some of the more tart and dry flavors of early American cider. It has been a boon to local economies, allowing for other food products and crafts to be sold alongside beer, wine, and spirits. You’ll find one such hub at at Finger Lakes Cider House in Interlaken. Good Life Farm plays host to five neighboring cideries, creating a unique, collaborative multi-cidery Tasting Room. You can taste the goods from Good Life Cider, Black Diamond, Eve’s Cidery, Redbyrd Orchard, and South Hill Cider. If you ever have the good fortune, spend a few minutes picking the brain of Melissa Madden from Good Life Farm and Cider, who will humbly steer you through her vast knowledge of organic farming and fermentation. The crop yield of an organic farm can change dramatically depending on the year’s weather, changing apple size and flavor, and ultimately creating new ciders in the bottle. Try the Barrel Rye-a semi-dry, finely bubbled cider, with tastes of creamy caramel, smoky and earthy, or the Cazenovia-a dry champagne-style, with spicy pear aromas and a creamy taste, named after one of two soil types at the farm. For a twist and a step above your everyday cider experience, South Hill also makes a series of Apple Liqueurs. 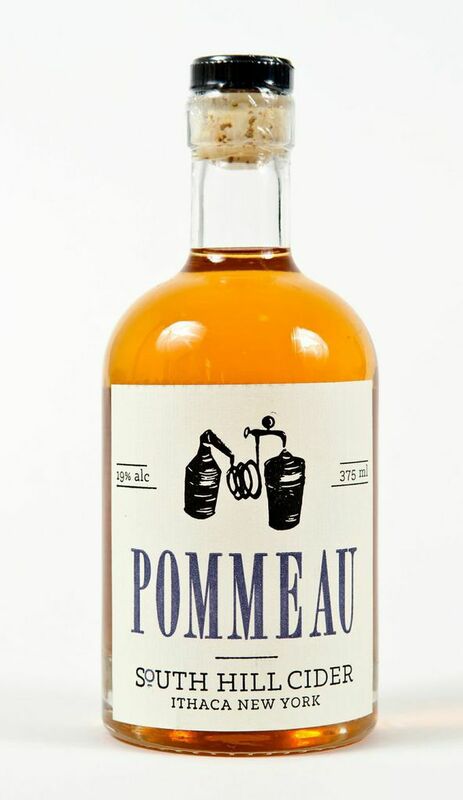 The Pommeau is a traditional drink from Northwestern France, and in this case, a blend of apple “eau de vie” and their unfiltered apple cider. Delicious straight up, as a luxuriously sweet end to a hearty fall dinner, or maybe combined with prosecco for a bubbly aperitif. The folks at Rootstock Cider Works in Williamson have taken a trick from the brewing world, and are dry-hopping for extra dimension of flavor. Rootstock Hopped might be your choice, a semi-dry cider made from Crispin varietal apples and local Cascade Hops, bringing out desirably bright and citrusy notes. 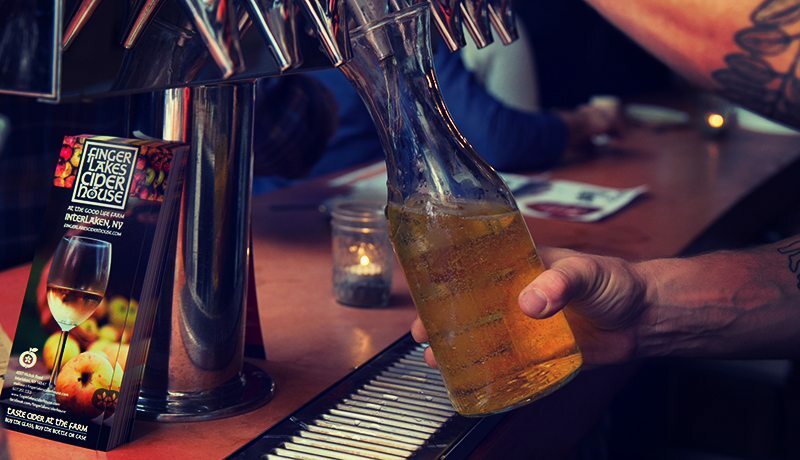 Where can you find these ciders in NYC? Check out Wassail in the LES, who has a hard line on most ciders you could ever dream of, including stuff from South Hill, Eve’s, Redbyrd, and Good Life. Check out a full list of South Hill’s availability in the city, including Roberta’s Pizza, Flatiron Wines and Spirits, and Jimmy’s 43. Other than that, ask your bartender and bar owner.